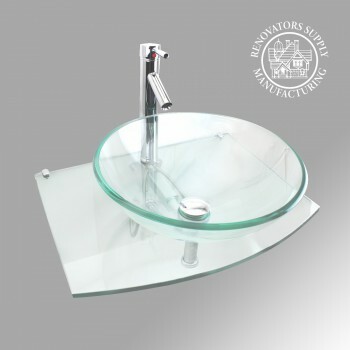 Space saving and easy installable wall mount sink. Shop for your Glass Vessel Sink here today. With an eye catching design this wall mount glass vessel sink from Renovator’s Supply has a modern and durable tempered glass construction. This console sink comes with a chrome pop-up drain and faucet. 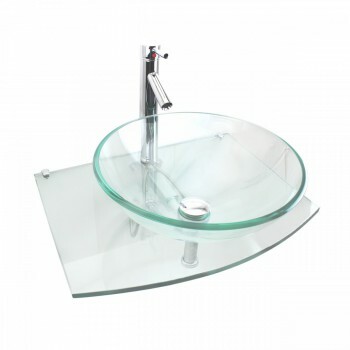 This bold contemporary glass vessel sink saves space without sacrificing the luxury of a spacious sink. 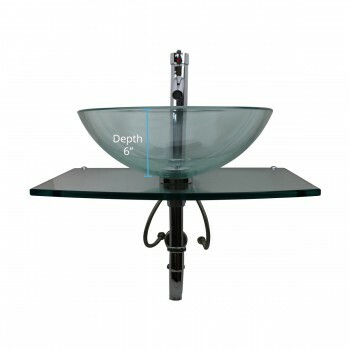 It is constructed from gorgeous tempered glass for durability and easy cleanup purposes. 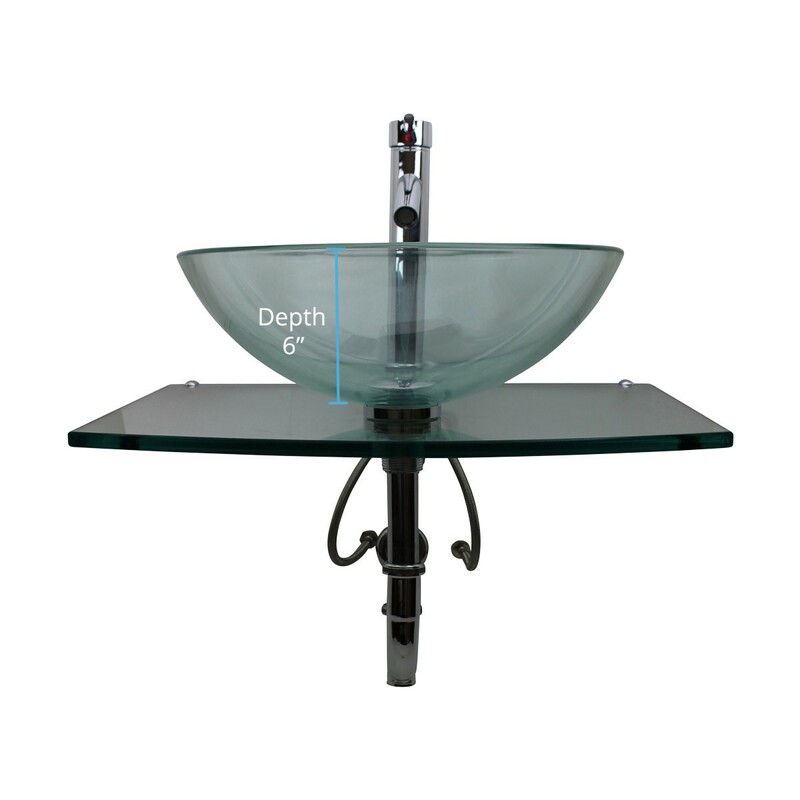 This sink is carefully manufactured with clear double layered tempered glass construction that embodies durability and safety. 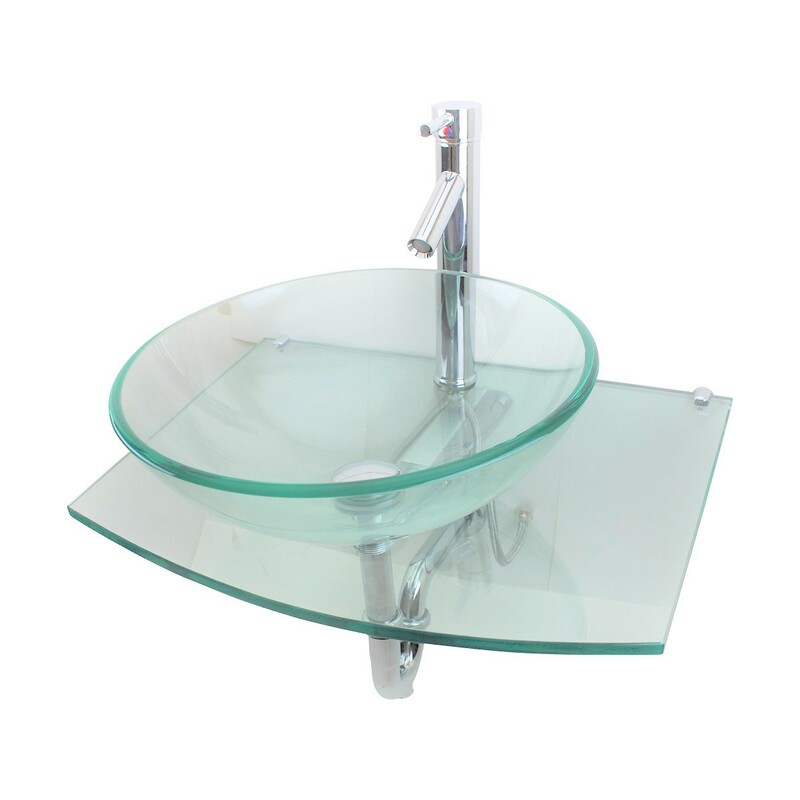 You can expect accessing signature looks in your lavatory and bathroom with this meticulous construction. 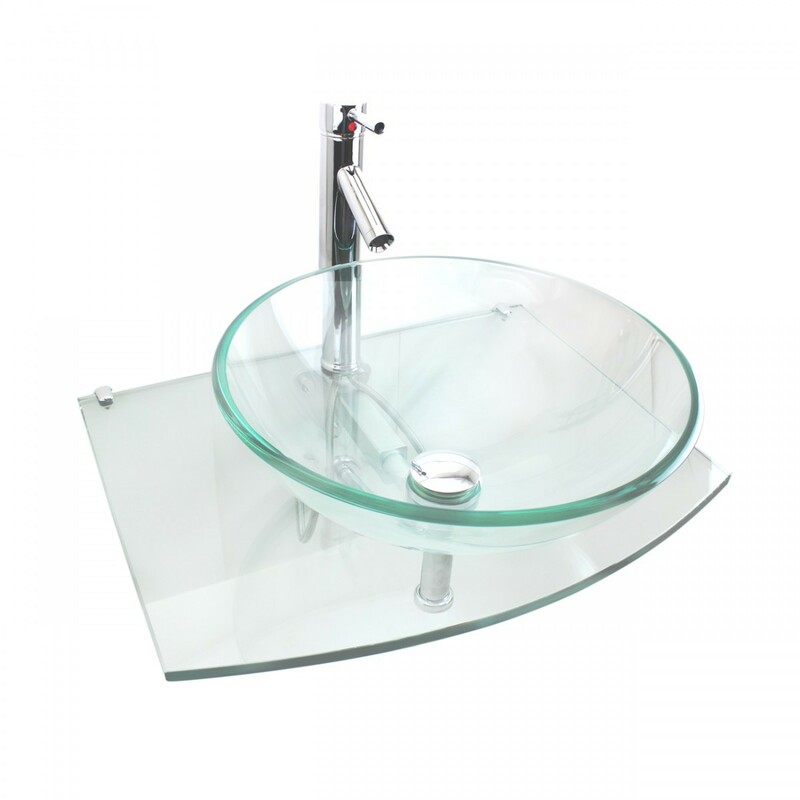 This sink comes with faucet and drain assembly which caters complete look and its transparent base complements any bath decor. 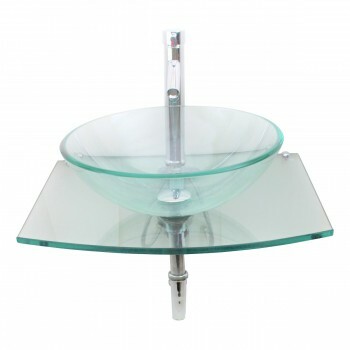 This product features smooth interior and exterior. It is 100% hand picked and meticulously crafted by experts. 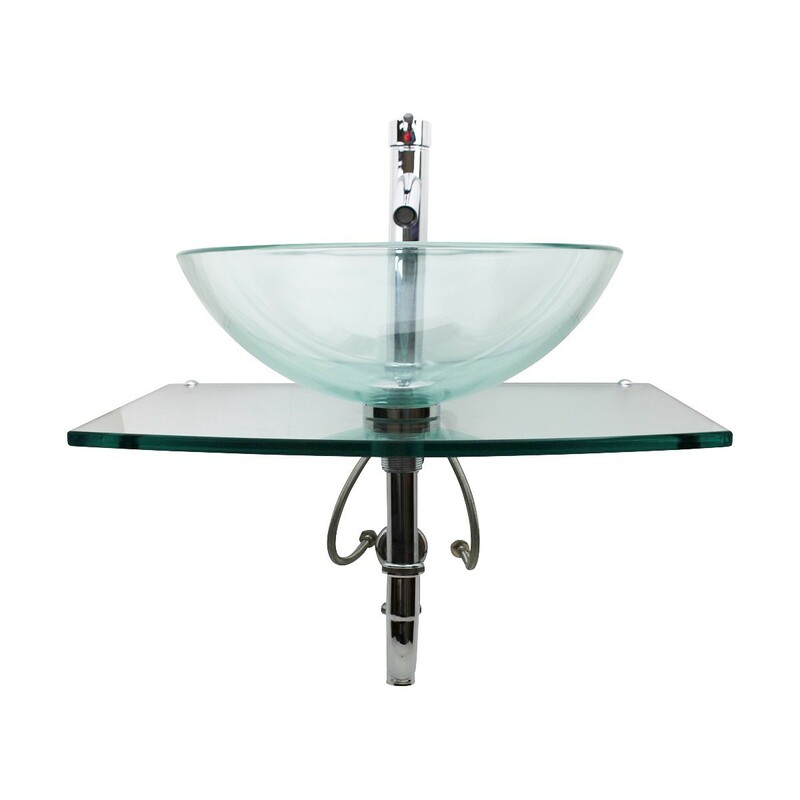 This clear stainless Halo mini glass console vessel sink is an affordable way to add luxury to any bathroom decor. 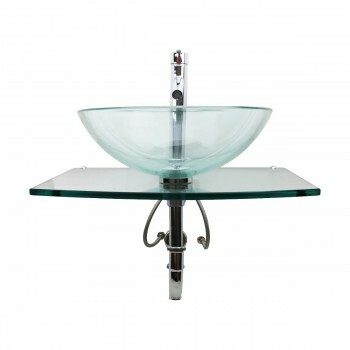 Glass is extremely heavy and large make sure you have room for it and a strong wall to mount it on. Beautiful once installed. Works well. I bought 2 only could use the glass to one in the downstairs bathroom because the powder room was too small. Sink would cover the toilet. i agree with the other positive reviews. it''s gorgeous, unique, and works really well. the waters comes out at just the right angle, the bowl is huge. we did not use the glass shelf...too heavy for our wall, which is just sheet rock. but it looks very nice this way. 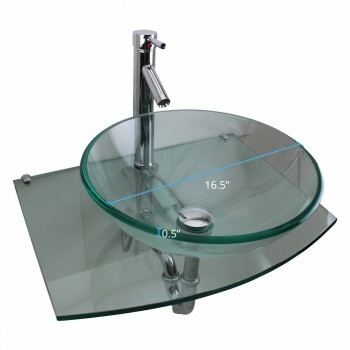 This sink is perfect, beautiful and easy to install! Thank you so much it was worth every penny!! High quality item for incredibly low price!! I'm in heaven. I love it. Works great. Thank you so much. Sometimes I get up just to go look at it. Beautiful! Still have some touch up to do but very happy it's in. Might not be best for a DYIer but great buy. Love the look of this item and for the price is and excellent buy. Only problem I see with what I received is that there were no assembly instructions included in the box. Hanging bracket came with mounting hardware that are not what one would expect and there was not any specifications as to what the wall structure requirements needs to be. The wall anchors supplied are better suited for a solid concrete wall rather than the more common wood framed wall. Fortunately for me as a building & remolding contractor I do this stuff all the time. Nice product and very heavy too..
Great looking sink! Comes with NO instructions. The instructions that the manufacturer sent me were laughable. Be sure to install some serious backing, this thing is heavy!